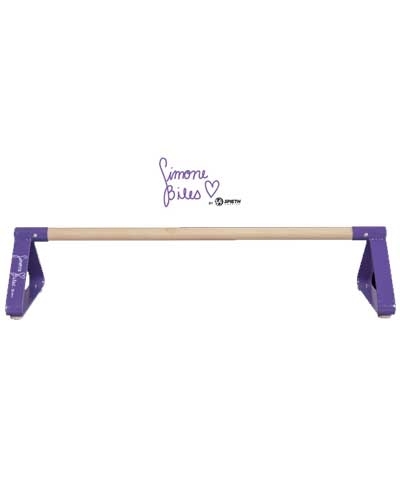 The Simone Biles Signature Folding Incline is an essential aid for learning basic forward and backward rolls, kick-overs, downhill cartwheels and round-offs. 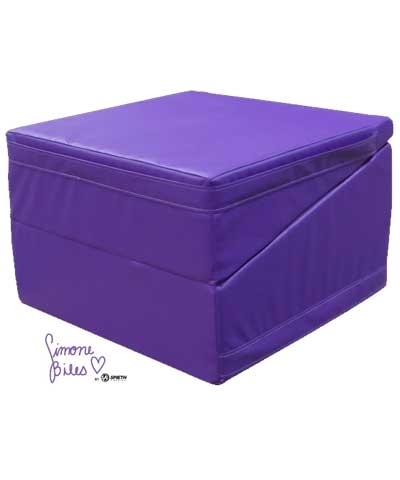 The Simone Incline is 24"x48"x12" and made of prime polyurethane foam and covered in rugged 18oz. "Simone Purple" vinyl. When folded to 24"x24"x14" it makes a training block. Perfect for home or gym preschool gymnastics.